A young man's face is superimposed over pictures of war service occupations. Poster Text: NOW IS THE TIME! 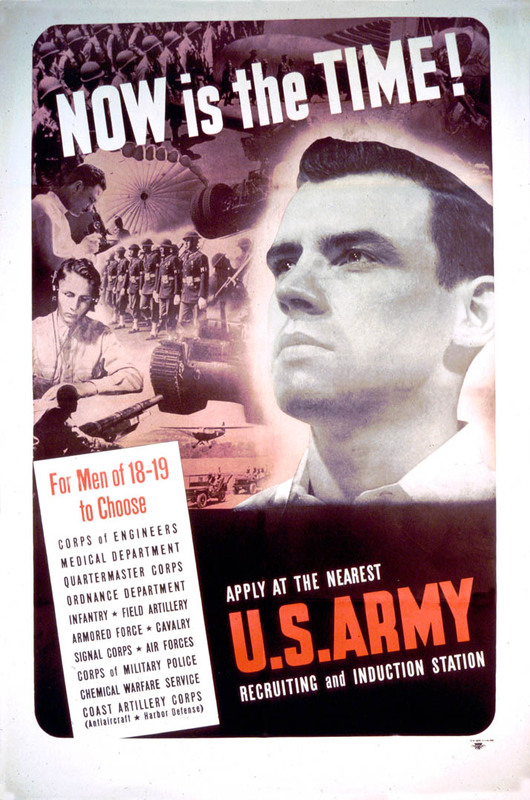 / APPLY AT THE NEAREST / U. S. ARMY / RECRUITING AND INDUCTION STATION.